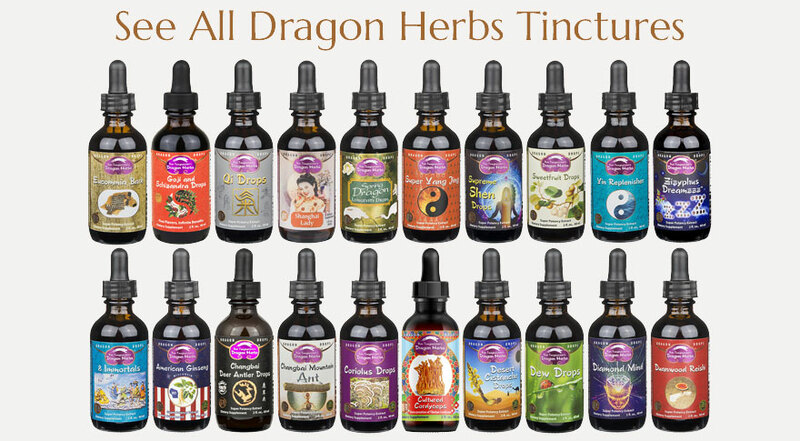 Dragon Herbs sources its Reishi from the Di Tao™ growing region for Reishi known as the Wuyi Mountains, at high altitude and far away from civilization. Ron Teeguarden visiting Duanwood Reishi farm. Reishi fruiting bodies growing on Duanwood™ semi-buried in soil. In this painting, which depicts Chinese Heaven, Reishi grows on a stone pedestal in the very center. Reishi is known traditionally as the "Herb of Immortality." Duanmu Reishi grown by Chinese Academy of Medical Sciences for Chinese hospitals. Note antler-shaped Reishi growing at the edge of the tent. 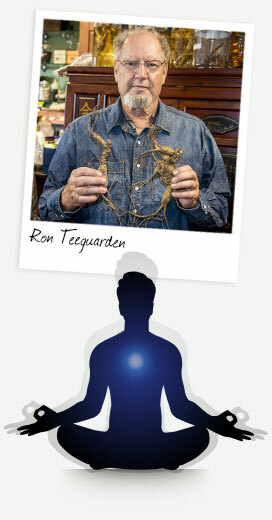 Ron Teeguarden, the purveyor of the highest quality herbs since 1971. 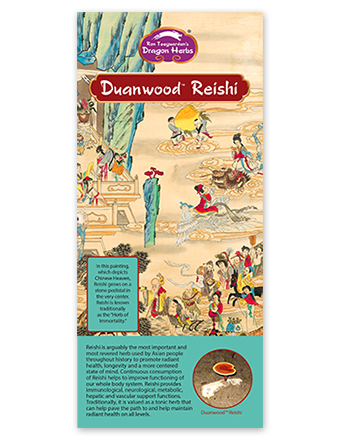 Duanwood Reishi is the mushroom of legend, lore and the prize sought in many martial art adventure movies, with its art-deco image in all the depictions of the ancient immortals and a history of use for over 4000 years. Writings from antiquity, and stories handed down, speak of the immeasurable value of this rare mushroom, giving it names through history such as the "mushroom of immortality," "mushroom of wisdom" and the "mushroom of good fortune and prosperity." Valued for its many health benefits, it was even more revered by sages and spiritual seekers for its support and promotion of intelligence, perspective, emotional and mental balance. 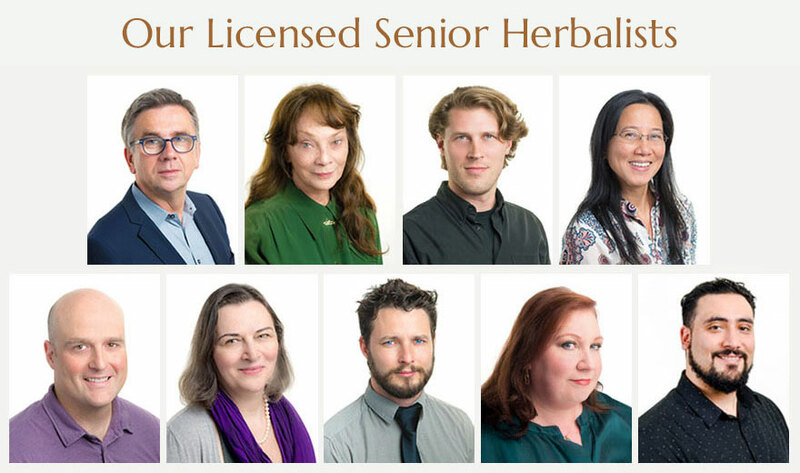 Modern research supports the historical claims for health protection, having immense benefits in supporting and balancing the immune system, while enhancing the functions of, and providing profound protection for, the lung, heart and liver and all their essential activities for long-term extended health. The well-documented physical support of this renowned herb also provides optimal mental functioning and intelligence enhancement while stabilizing emotional balance and health. Ingredients: Duanwood Reishi fruiting body. Tonifies Qi and Shen, disperses clumping and tonifies memory. Enters the Heart, Liver, and Lung meridians. Reishi mushroom (Ganoderma lucidum) is the most revered herbal substance in Asia, ranking as the elite substance for the attainment of radiant health, longevity and spiritual attainment. In China it is known as Ling Zi. It ranks in Asia with Ginseng, Deer Antler, Himalayan Rhodiola, and Cordyceps as a pre-eminent tool in the attainment of radiant health. It has maintained that position for at least 3000 years, and its reputation and value are only increasing. 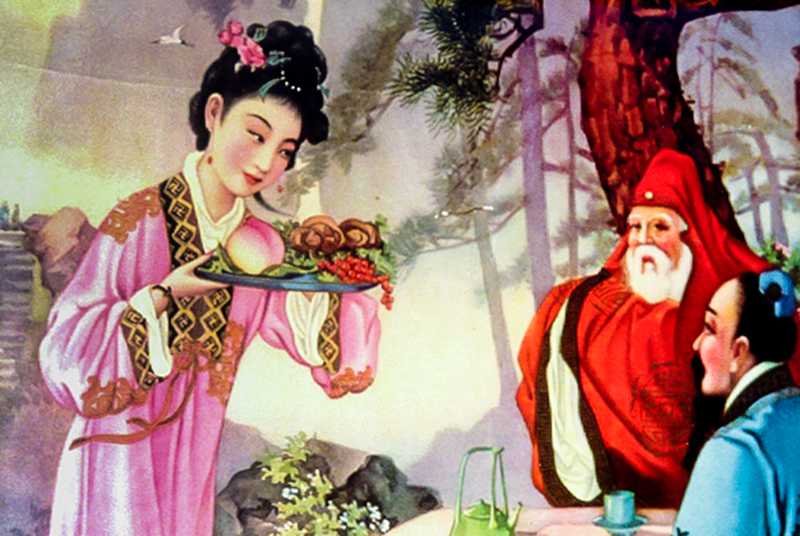 Numerous legends provide a rich and extensive record of Reishi in Asian society. Reishi has traditionally been used as an anti-aging herb and has been used for many diseases and disorders as well. It has long been a favorite tonic food supplement by the Chinese Royal family and virtually anyone who could obtain it. Reishi was particularly revered by the followers of the Taoist tradition as the "Elixir of Immortality." Taoists have continuously claimed that Reishi promotes calmness, centeredness, balance, inner awareness and inner strength. They have used it to improve meditative practices and to protect the body, mind and spirit so that the adept could attain both a long and healthy life and “spiritual immortality” (enlightenment). Due to its rarity in the past, the common people could rarely obtain a Reishi mushroom, and it was popularly revered as a greater treasure than any jewel. Since Reishi (Ganoderma lucidum) is known to have many functions, it has been the subject of a great deal of research in recent years. 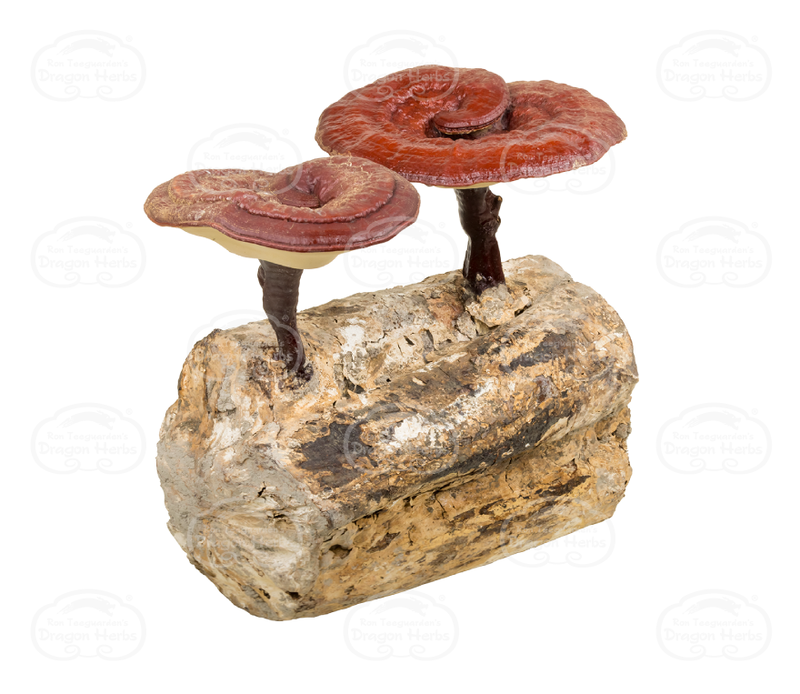 First and foremost, Reishi mushroom has been shown to be absolutely safe and non-toxic. However, those with allergies to mushrooms should use it with care at first. Many scholars and herbalists believe that consuming Reishi mushroom can help eliminate some allergies to other mushrooms. Ganoderma lucidum is a profound immune potentiator. It has been found to significantly improve the functioning of the immune system whether the immune system is deficient or excessive. In this sense, it is an immune "modulator" – that is, it helps to modulate, or regulate, and fine-tune the immune system. 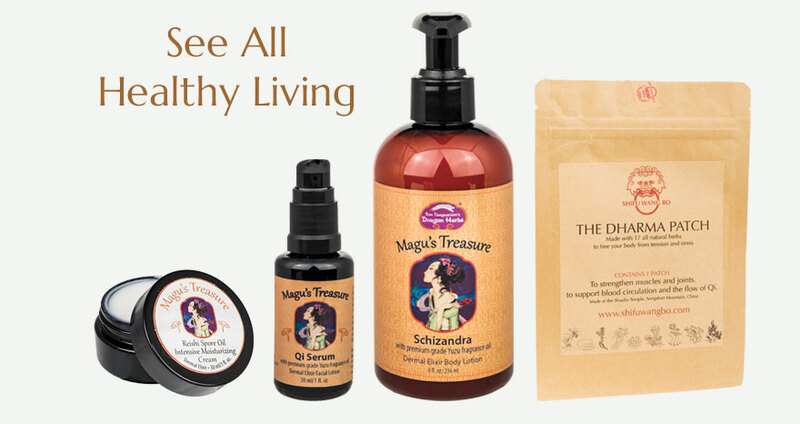 Our immune system is a virtually miraculous network of activities designed over millions of years to protect us from viruses, bacteria, parasites, molds, dust, pollen and malignant cells. It is the responsibility of the immune system to detect the intrusion, or invasion, of these entities and to mount a defense in order to eliminate them. A healthy immune system is capable of resisting most such intruders and a very hardy system may be able to resist invasions that many other people's systems cannot. 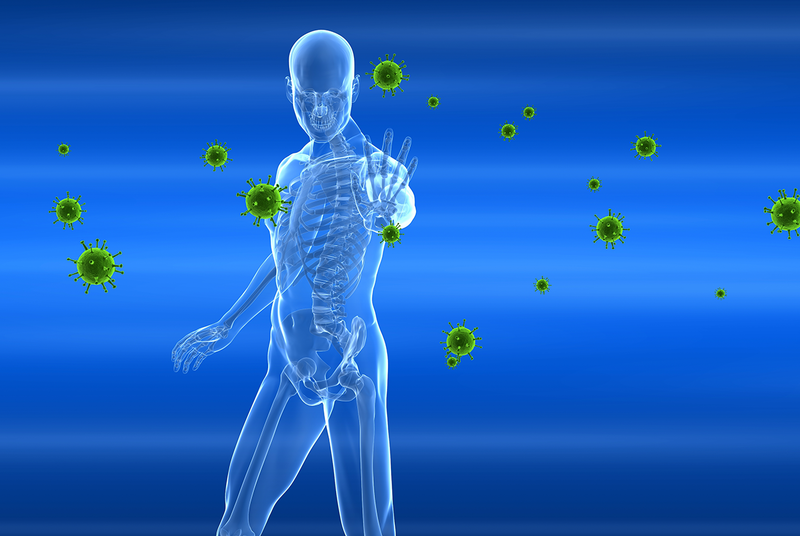 If the immune system is weakened or malfunctioning, the invading microbes can easily establish a foothold in our body and disease sets in. Antibiotics can often be used to stop the invasion at this time, but chronic use of antibiotics further weakens the immune response. Furthermore, antibiotics are useless against viruses, pollens and most parasites. It is much better to resist the invasion from within with a fully fortified immune system and not become ill in the first place. 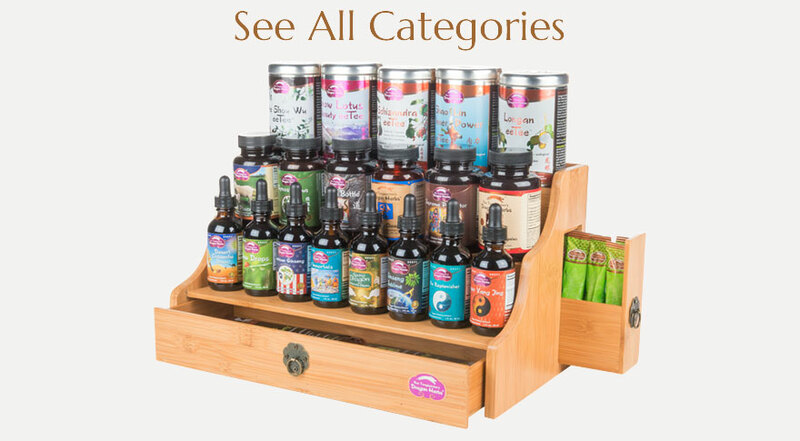 This is where herbs like Reishi our now attracting the attention of scientists and consumers alike. Reishi does not just "stimulate" the immune system, it also regulates it. And that is what makes Reishi so precious. 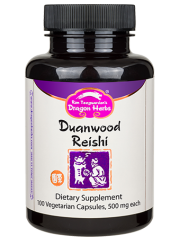 If the immune system is excessive, Reishi can have significant positive influence. A group of chemicals known as the ganoderic acids help inhibit histamine release, improve oxygen utilization and improve liver functions. Ganoderic acids are also potent antioxidant free-radical scavengers. Reishi is widely used in Asia to improve the cardiovascular system. It helps lower HDL (the "bad" cholesterol) and reduce excess fatty acids. It has been found to prevent and treat hardening of the arteries, angina and shortness of breath associated with coronary heart disease. Reishi is a substance that builds health on all levels. It is the rarest of jewels in Nature. Life itself is based on the ability to adapt to the stresses, the attacks, the challenges that come our way every day. 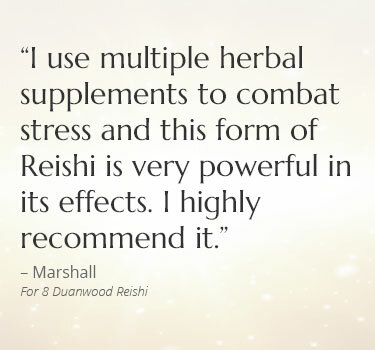 Reishi seems to provide an incredible resource of the full range of energies we need to meet these challenges. Reishi is indeed "the great protector," protecting us on every level --physically, immunologically, mentally, and spiritually. It helps us adapt to the world and provides additional power for us to achieve a superior level of life. When we are so protected and so provided for, we can achieve things that otherwise would be impossible. 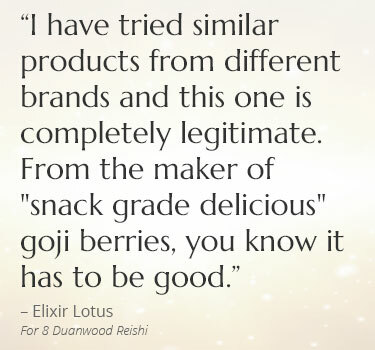 That is why Reishi has been called the "herb of good fortune." Di Tao means “authentic source.” In Asia, the concept of Di Tao™ is of great importance. All herbs grow best in certain areas. 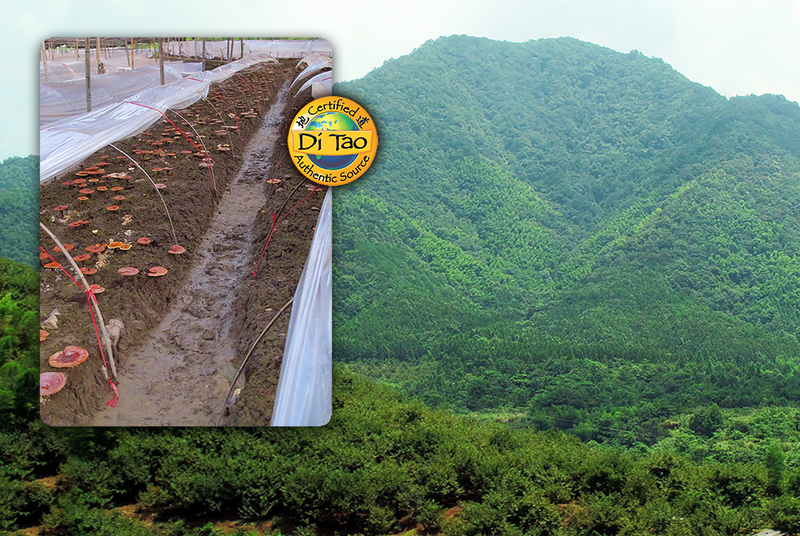 These traditional and scientifically confirmed growing areas are called “Di Tao.” Dragon Herbs sources its Reishi from the Di Tao™ growing region for Reishi known as the Wuyi Mountains, at high altitude and far away from civilization. The Reishi plantation lies between a mountain hardwood forest and a mountain stream that is, along with rain water and mountain mist, the only source of water. The air is pure, the soil is unadjusted forest loam, and there is no pollution. Dragon Herbs partners with growers of Duanwood Reishi in the national biodiversity protection zones on the Wuyi Mountain. The Reishis were left to grow naturally or organically on the original logs from the same trees they would grow on if wildly. The forests are protected biodiversity zones with minimum human intrusion. Water and air qualities are closely monitored within the area. Is Duanwood Reishi grown in a hothouse? 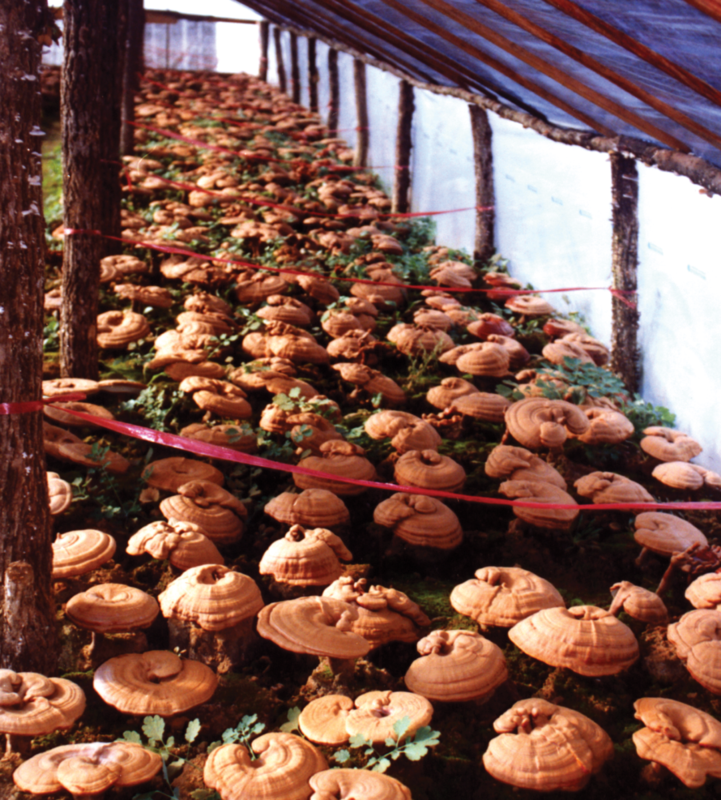 No, it is grown on a mountain plantation in the open air, though a tent is erected to cover the Reishi patch in the later stages of growth to protect the Reishi. What part of the Reishi is used? Only the mature fruiting bodies (the mushroom caps and stalks), but not the mycelium, which in Asia is considered to be inferior in its benefits. I have mushroom allergies. Is it safe to consume Duanwood Reishi? 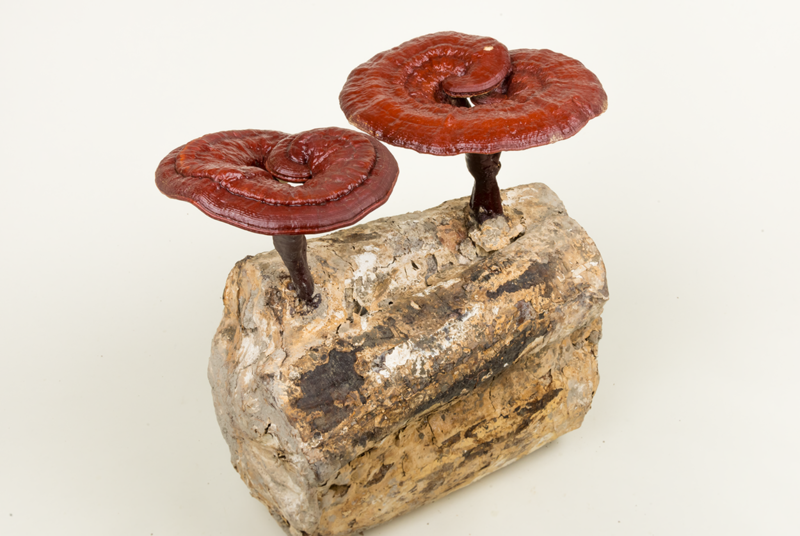 Duanwood Reishi is an evolved form of wood mushroom. It is often used to regulate allergic responses. However, you should use it with caution at first, or consult with your physician. What color is Duanwood Reishi? It is called “red” Reishi because of its radiant brick red color. How old are the mushrooms? The mushrooms are collected after a few months of growing on the duan-wood. When they are fully mature, they are collected and immediately sent to an extraction facility in the foothills of the mountain. It is of critical importance to the consumer to know that it is the fruiting body, the above-the-ground “mushroom,” that is the official herbal part of this botanical. 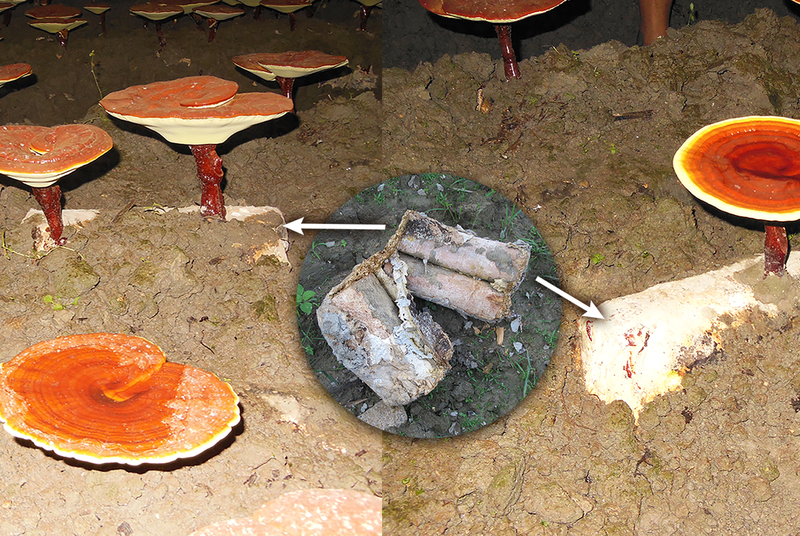 The mycelium, that part of the fungus that grows within the rotting wood, is not used in Asia as a tonic material. The fruiting body is the “mushroom,” the sexual organ of the fungus that emerges from the mycelium during the growing season. In Asia, only the fruiting body is accepted as a tonic herb. The fruiting body is called the “mushroom of immortality,” not the mycelium. The mycelium is however widely sold in America to less sophisticated users. The mycelium is usually simply ground into a powder and sold as “Reishi.” Real Reishi is always extracted. It cannot be digested by humans if it is not extracted and made bioavailable. 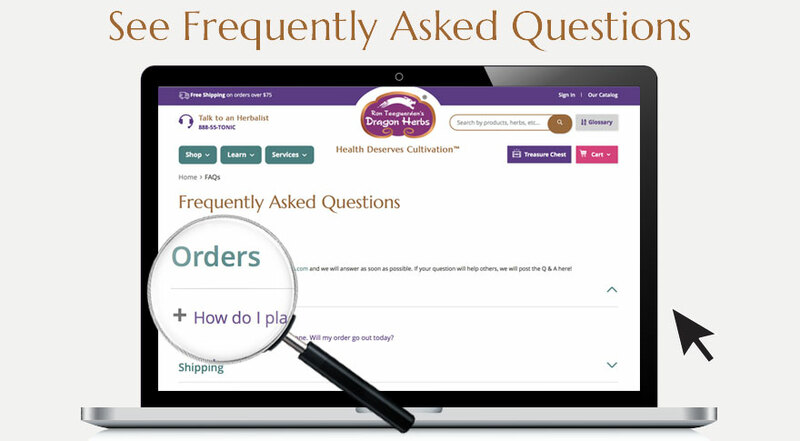 Dragon Herbs only uses the fruiting body to make its Reishi products – never mycelial mass – and it is always extracted and thus concentrated. In 1976, I started my studies with Taoist Master Sung Jin Park. He introduced me to Reishi mushroom. Back then, there was no such thing as a Chinese or Korean herb shop in America, so he took me to visit his Korean friend who happened to have a stash of Korean Reishi. I got some in chunk form and started brewing it for myself according to Master Park’s instructions. 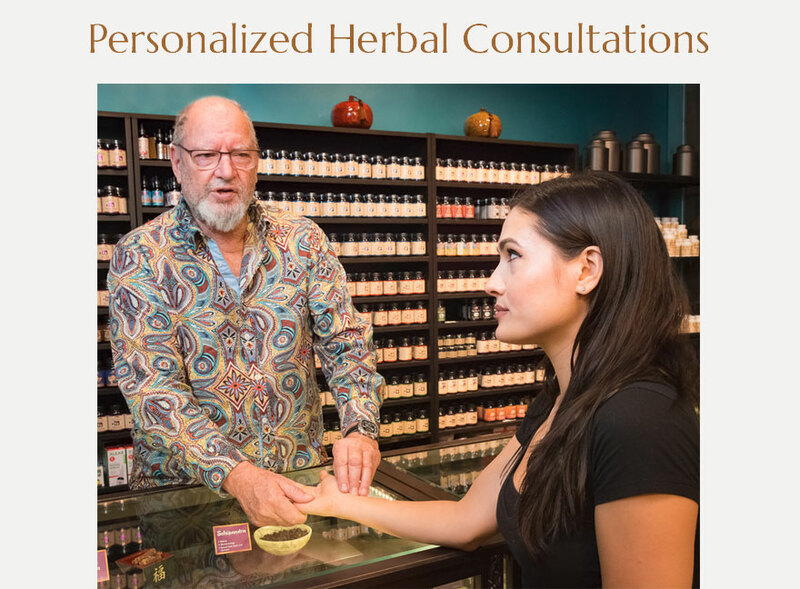 Eventually I started an herb shop in my Venice California garage, which later evolved into a real herb shop on Abbot Kinney in Venice in 1988. Right then, I was able to obtain the first extracted, powdered, encapsulated version of log-cultivated Reishi available in America from Jen On Products. 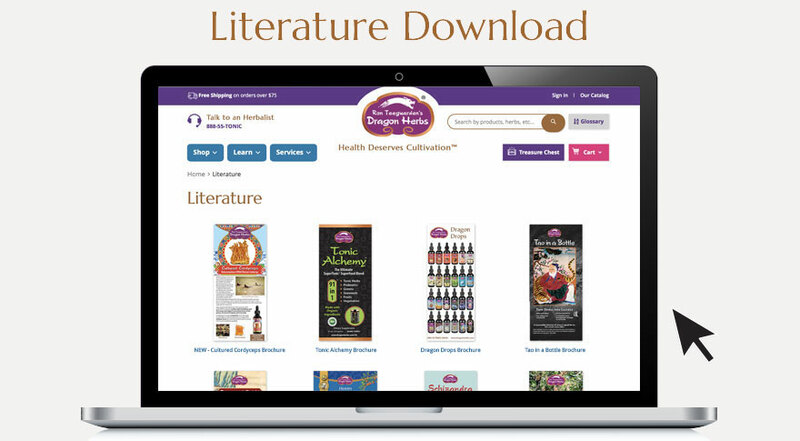 Simultaneously, a lot of information on Reishi started becoming available. It turned out that Reishi was considered in Asia to truly be the ultimate elixir, perhaps in the world. 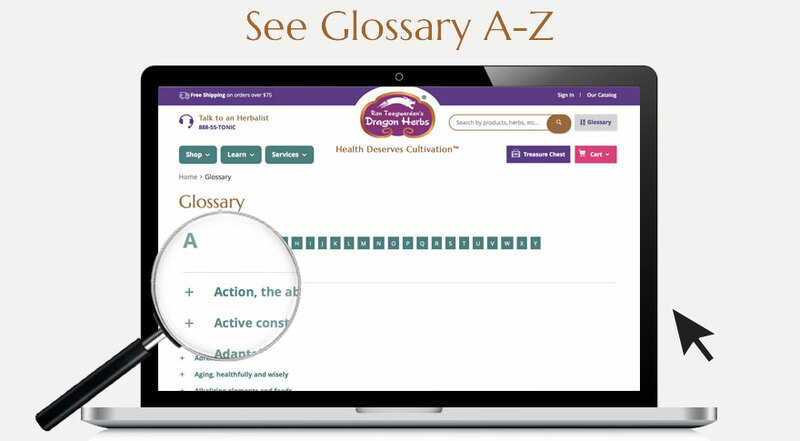 I was amazed at how important this herb is in Asian health culture. It has been the virtual symbol of longevity, peace of mind, protection, immunological resistance, wisdom and overall glowing health in the Far East for over 3,000 years! As my herbal practice grew, I made up my mind to make sure that every one of my clients took Reishi everyday. Reishi mushroom has been and still is the bedrock of my practice and the ultimate evolution into Dragon Herbs. In Asia, Reishi is King— it is revered as the ultimate tonic herb no matter where you go. All these years, I have been to China more than 100 times and have stayed there often for months on end. I have been to the White Cloud Taoist Temple (the mother of all Taoist temples in China), to the Shaolin Temple (the mother of all Zen Temples in the world), and to hundreds of herb shops and markets from Mongolia to the Philippines, from Tibet to Heaven Mountain. The temples have innumerable paintings and carvings of Reishi all over their grounds, indicating the importance of Reishi in the attainment of higher consciousness. They even serve Reishi soups and teas in their dining halls and restaurants. The White Cloud Taoist Temple is famous for its large centenarian population and Reishi is its key herbal supplement. Duanwood Reishi is grown on remote, high mountain plantations. My earliest excursion to Changbai Mountain (1993 – just after China “opened up”) was for the purpose of visiting a Reishi farm. It was a revelation! The mushrooms are cultivated on logs cut from the forest. This is the preferred wood that Reishi grows on naturally in these forests. It is quite beautiful and awe inspiring to visit a Reishi plantation. Our Duanwood Reishi is grown without any fertilizers or chemicals. Only the mountain stream water and rain are used to irrigate the logs. Reishi is a true natural wonder. It is a profound immune modulator with over 900 active constituents. As a “high order fungus,” it is not the kind of fungus that people are allergic to. It is a double-direction adaptogenic herb that modulates the immune and nervous systems, keeping these functional networks strong and balanced. Reishi is the herb of wisdom. It is the “herb of good fortune.” It is the one herb that I must take every day of my life. For over 2,000 years, it has been called the “mushroom of immortality.” It is the herb the Chinese gods gave to humans so that they could achieve the most out of life. 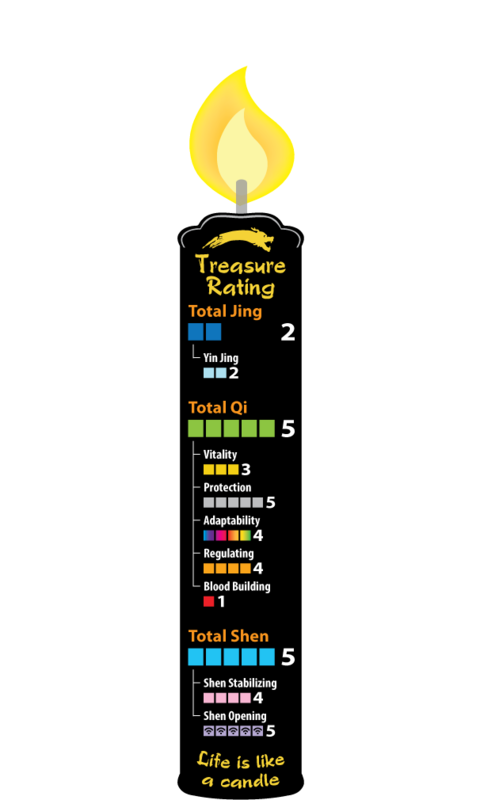 It is the ultimate Shen tonic. So, even though there is Reishi in several of my favorite formulas, I take a few Duanwood Reishi capsules every day, no matter where I am or what I’m doing, as a booster. I am 100% compliant with Duanwood Reishi, and that will never change. 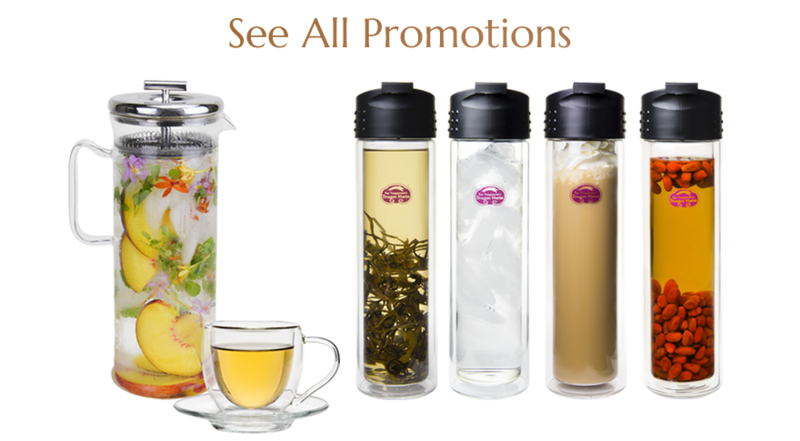 "I absolutely love this product. I always feel great when I am taking reishi - physically and emotionally - and can tell a difference when I stop. 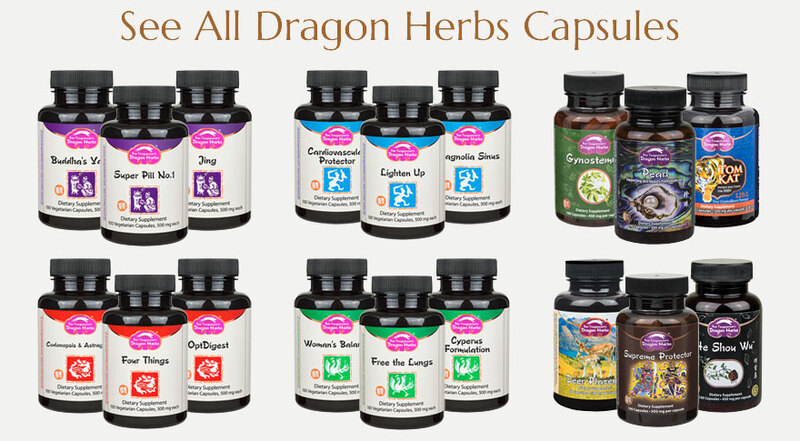 I've tried other brands but none compare to Dragon Herbs, in my opinion. I believe I'm on my 4th bottle. "